Being a predominantly Catholic country, the Philippines holds many religious activities. The one that tops them all is Christmas, which, perhaps, is the longest celebration of Christmas in the world because it "officially" starts at the onset of "ber" months up to the feast of the Three Kings. Second is the observance of the passion, death, and resurrection of Jesus Christ which is during the Lent season. It is during the lent season that Catholic Filipinos perform their sacrifices and religious vows and penance. 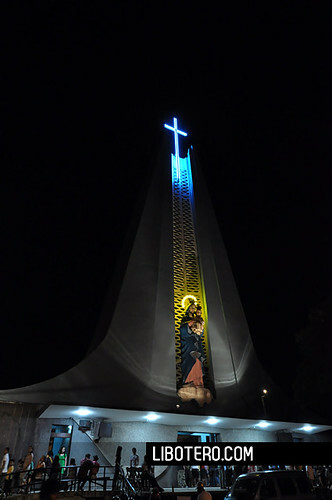 It is also during these week-long religious tradition that Catholics perform religious activities like going on pilgrimages to various miraculous churches for prayer or for healing, visit churches or what we call Visita Iglesia where pilgrims visit seven (7) churches, while majority simply stay in their hometowns to join their townsfolk in prayer and penance at their parish church or chapels. If you are planning and have not thought about where to go for any religious activity this week or if you are in the vicinity of these places, here are some recommended places. For this post, I asked some travel bloggers to share their post on this topic. So, if you happen to be enjoying your summer vacation in these places, and if you are a Catholic, you might as well pay a visit to these pilgrimage sites and churches. Baguio City. I am sure, many of you would be going to Baguio City to get a breather from the humid and arid lowlands during summer. I would say, it does not cost much if you can also pay a visit to some religious places. It can be any church in Baguio City--The Baguio Cathedral, Saint Vincent Church, Pacdal Church, the Lourdes grotto. Nonetheless, you might want to experience heavenly worship at the Pink Sisters' Convent. I would bet that the sweet and melodious chanting of the cloistered nuns makes you more focused on your prayer and meditation. If you would like to have a touch of nature, where you can have your meditation, you can also drop by the Maryknoll Ecological Sanctuary. 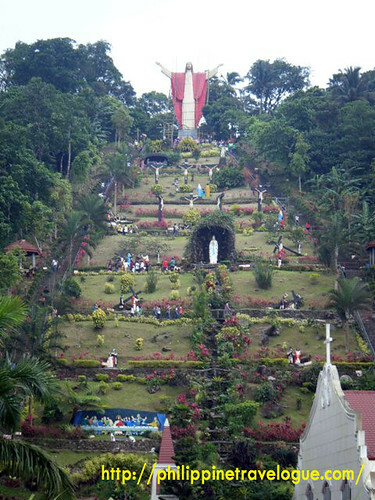 Bukidnon is famous for its Monastery of Transfiguration. Not only it offers Bukidnon's natural beauty but also allows you to spend some days in their retreat house or perhaps just a few hours of silent prayer in the church located on the top of the hills of Bukidnon. 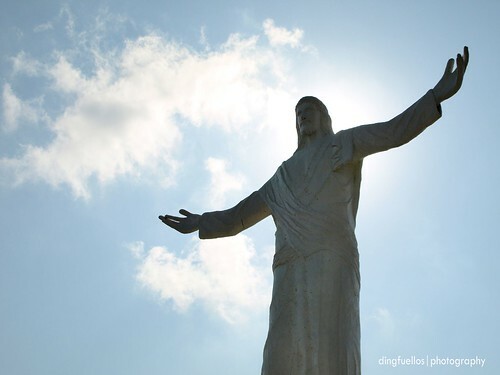 Tarlac has recently become famous among pilgrims for its Monasterio de Tarlac. Why not? The Philippines is blessed to house the Arqueta encasing the Relic of the Cross of Christ. For the past years, this pilgrimage site has been visited by many devout pilgrims from all over the country. The pilgrimage site is nestled on the rolling hills of Brgy. Lubigan, San Jose, Tarlac. Lucban, Quezon, on the other hand, is not only known for its Pahiyas festival and the colorful kiping. It is also known for the Kamay ni Jesus Healing Center. Brenna Bustamante of The Philippine Travelogue shares her experience with her parents when they visited the place. Alvin Sabay of The World Behind my Wall, likewise, recalls his trip with a friend during the holy week last year and chose Visita Iglesia in some of the churches in Quezon and the visit to Kamay ni Jesus Healing Center over beachcombing. According to him, it was worth the day of spiritual experience. Laguna. A road trip to Eastern Laguna would be rewarding for both the historical and religious experience. 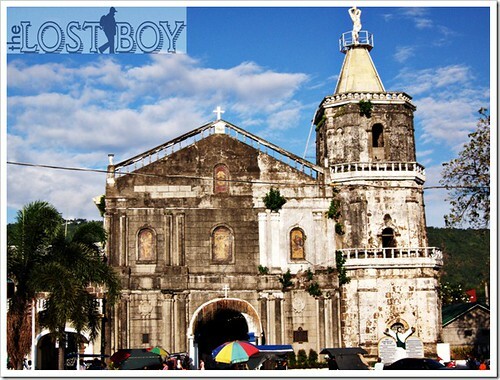 Lloyd of The Lostboy shares his Visita Iglesia in the towns of Pakil, Paete, Longos, Lumban, Pagsanjan, and Pila. To make it 7 churches, you may include the church of Pangil right before Pakil town. Rizal. Also in the vicinity of Laguna, you should never miss the two beautiful churches in Rizal. Albeit not on a Holy Week, Christian Sangoyo of Lakad Pilipinas shares his visit to Baras Church and Morong church. These churches stood the test of time and a fitting reminder of Catholicism in Southern Tagalog Region. Bicol Region. Further South in Luzon, Mervin of Pinoy Adventurista and Edmar Gu-Quibb of Edmaration, etc. 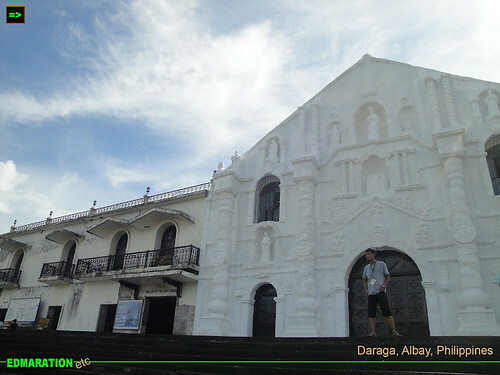 share a post on lime-washed Daraga Church in Albay. Do not be disappointed why the old church was white-washed. Visit Edmar's page to know the reason why. Further south Pinoy Adventurista also visited the Barcelona church in Sorsogon, which is one of the oldest churches in Bicol Region. Cebu. If you happen to be in Cebu this Holy Week or even not during the Holy Week, you can pay a visit to the beautiful churches of Cebu. However, Sinjin Pineda of Libotero, explains that during Visita Iglesia, sight-seeing is not the primary objective. Click on the link and discover more about the real objective of Visita Iglesia. Up North. When you travel up north in Cagayan Valley, Enrico Dee of the famed Byahilo invites you to see the Tumauini Church in Isabela. I have not gone to this place myself and it surely falls on my bucket list. Metro Manila. Of course, if you are in Metro Manila, there is no stopping you to do Visita Iglesia too. Mary Lovelee Tan of Life as I know it shares her 5th Visita Iglesia in the metro. This means only to show that one does not need to go far from where you live to pay your religious obligations. Instead of only seven churches, she combed the metro and visited 13 churches. Find out where she went last year. Batangas. I think I have gone to this place, too, one time when we were chasing the sunset (Now that deserves another blog post, I guess). I just learned from the blog post of Berniemack Arellano of Habagat Central that it is called Montemaria. I didn't know that it is supposed to be a "future shrine". The time we went there, there was an evening mass that was being held. And indeed the panoramic view was spectacular, especially during sunsets. Indeed, Holy week need not be boring. You can travel and enjoy the sights without sacrificing your devotion and penance. The Pinoy Explorer wishes you all a Blessed Lenten Season. Thanks to Lloyd of The Lost Boy, Brenna Bustamante, Alvin Sabay, Christian Sangoyo, Mervin a.k.a. Pinoy Adventurista, Edmar Gu-Quibb, Enrico Dee, Mary Lovelee Tan and Bernie Arellano for your contribution to this post. hehehe, hindi naman siguro edmar...wishing lang. I am sure lahat ng searches ngayon..."beach"